This is my first custom PC build and a notable upgrade from my old Intel i7-920 (Bloomfield), 6x1GB RAM, and Sapphire Radeon HD5830 (upgraded part) from Dell. Intel i7-5820K (Haswell-E) vs i7-6700K (Skylake): Since both platforms use the same DDR4 memory, the motherboard (x99 vs z170) was the only other part I needed to consider when deciding between the 4th and 6th generation of intel processors. I was already set on getting the Asus “Deluxe” series of motherboards because of the integrated wi-fi option (802.11ac) and more importantly the “5-Way Optimization” feature on AI Suite 3. Being new to PC building, I figured the auto-overclocking would be a good stepping stone into the process. So keeping this in mind and being fortunate to live next to a Micro Center the price difference between these two options was only about $20 for me. With price not being a factor and the research I’ve done the 5820K appeared to be the better of the two processors. Both had comparable performance in regards to gaming (slightly better on the 6700K and with less power draw), but when it comes to multi-threaded applications, the 5820K with its 6 cores really seems to outperform. I didn’t go with the 5930K or 5960X because the incremental cost of $200 and $600, respectively didn’t seem to justify the incremental benefit. 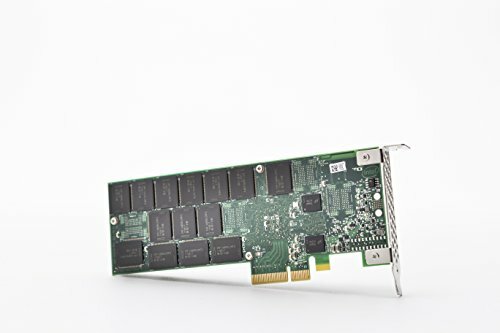 Also I really don’t see myself needing the extra 12 PCIe lanes (i.e. I’m not going to do 16x/16x SLI). Noise: One of my primary objectives was to reduce noise, hence the (1) Define R5 case, (2) why I didn’t get the windowed side panel, and (3) why I mounted the H110i GTX on the front instead of opening up the “ModuVents” on the top of the case. I still can’t say “mission accomplished here”, when the H110i GTX kicks up there’s still a good amount of noise. The fan speed seems a bit overkill (upto 1500 rpm) as my processor seems to stay relatively cool even when I force Corsair Link into “quite mode”. I suspect much of the issue relates to my noob-ness regarding fan curves. I also wasn’t sure if AI Suite 3 and Corsair Link are somehow overriding each other (feedback would be appreciated here). Temperatures: On the positive side for the H110i GTX, temperatures have been great. During the auto-overclock process the CPU got to about 56 degrees celsius with less than 1.3 volts. EVGA GTX 980 Ti Hybrid: I’m very satisfied with the card, it’s got a nice premium feel and build quality to it. The fact that EVGA makes you open a number of heavy boxes doesn’t hurt and adds to the overall experience. The card seems to perform well and stays relatively cool. I attached some screen shots of 3DMark’s free demo of Fire Strike and did my best to capture temperatures/fan speeds/PSU usage before and right after the demo (did the best I could here but think its understated, I'm pretty sure its running warmer). For those thinking about a similar setup, the radiator on the 980 Ti Hybrid was a bit difficult to mount next to the radiator/fans on the H110i GTX. I ended up having to use the honeycomb grill as mounting points since the normal screw down points were blocked. Even though the situation wasn’t ideal, the mount seems secure and safe. Corsair HX850i: Speaking of PSU usage, the HX850i appears to be working great based on my quick “alt-tabs to Corsair Link” when running applications and games. I haven’t seen the system push the unit too far and I’m not sure if the fans ever come on yet. Intel 750 400GB & Samsung 850 Pro 512GB: The Intel 750 is my primary boot drive and location for key applications and higher end games. The installation process of Windows 10 pro went without a hitch. P.S. Fan extension cables are in the mail, no need to hate about the two cables coming off the front radiator. That's the best title I've ever heard! Looks like a fantastic system. I'm still using an i7-930 personally, though sometime in the next couple months I want to upgrade. 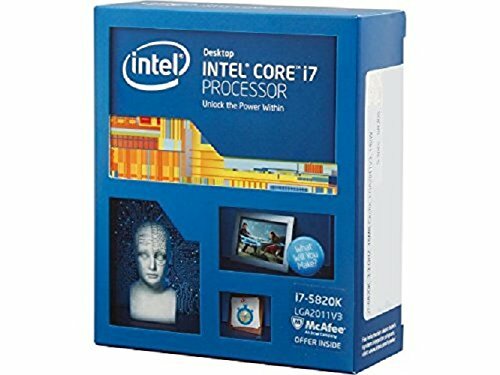 Not sure whether to go for a 5820K or 6700K... I use SolidWorks frequently, but I also enjoy gaming. I completely understand the internal debate, which is why I started with the Intel i7-5820K (Haswell-E) vs i7-6700K (Skylake) comments. I actually delayed my build by a month to hear press/news feedback after the Skylake release. Take a watch of this YouTube video and the forum post link in the description, it may help with the decision. Hmm. Salvaging parts from my current build (PSU, SSD, case, GPU) I could upgrade to X99 for about $650. A similar Skylake upgrade would run about forty dollars more, but only because the CPU is so expensive and I can get the 5820K at a MicroCenter. Except in multithreading applications. In that zone the 5820k is the king. Trust me on this one, X99 will be a legacy to reference in the future. That is some serious hardware you've got there, friend. Fantastic looking build, very nicely done. Have you tried overclocking the 980 Ti yet? That thing looks like it's just begging to be pushed to the limit. I haven’t overclocked the GPU yet, that’s my project for the weekend. As stated above, I’m new to the overclocking world and looking forward to doing it. This whole process has been a fun project. Once complete, I’ll post another set of screenshots for 3DMark’s free demo of Fire Strike for comparison. Excellent build! Also, I envy that firestrike physics score. Should be a Featured Build in my humble opinion !! Love the 5820K vs 6700K debate. Just went 5820K a bit prior to Skylake myself. My justification was more that I don't Game, and am very likely to overclock. So the 5820K more than handled my Work Load making the wait for Skylake unlikely to be huge advantage. Deciding Factor for my build was based more on the X99 Board having twice the Ram slots for a future upgrade path. Plan on running the system for several years, and I'm just terrible about running a ton of things at the same time and leaving them open for Months on end. The Ram seems to always be the limit hit way before anything else. Hoping the extra slots open for expansion will allow longer use out of the system Grin..
Again.. Love your Rig.. As I listen to the Wind Tunnel next to me, I wonder what a few changes could have done to the volume levels of my Rig. Thanks for the support and comments. “As I listen to the Wind Tunnel”, lol - The increasing noise from my old graphics card was the key reason I was trying to minimize sound with this build. Even with my comments above, the Define R5 is a great case to work with and might be worthwhile for you. I added a new image with some Haswell-E overclocking averages that was helpful when I put my system together. Hope it helps you as well and good luck with your build! Looks great, I was considering the Intel 750 but I read some discouraging information regarding the slow boot times. I was planning to go with the M.2. Samsung SM951 as a result but I'm still not 100% sure. What do you think about it so far? I might not be the best person to answer this question, as mentioned I’m upgrading from a fairly old machine running Windows 8.1 with a WD Caviar Blue 7200 RPM drive. So I don’t have a good sense of what normal boot times on Windows 10 should be. With that said, currently I’m not impressed, for my system it’s about a solid minute to boot. At start up I have Malwarebytes, CCleaner, Intel RST, Nvidia GeForce Experience (I can’t figure out how to disable this). I can hear the tiny violins playing in the background for my first world problems, but considering the 86% price per GB premium that I paid on the Intel 750 versus the Samsung 850 pro, I had high expectations. Keep in mind I did well on pricing by buying both drives on sale at $0.85 and $0.46 per GB for the Intel 750 and Samsung 850 pro, respectively. I had a similar debate regarding the Samsung SM951, but opted against it due to thermal throttling complaints. From what I understand, the aftermarket cooling solutions are not made well and some require you to remove the top sticker which will void your warranty. I even considered using a PCIe fan with the available cooling solutions, but this just seemed like a giant hassle and added cost. Thank you for your extremely helpful response, I hadn't heard about the thermal throttling, I'll look into the resources you've provided. When I say boot times in my case, I'm measuring from when you turn it on until you see the Windows login prompt, and with a normal SSD, its around 8 seconds. The Intel 750 takes 11 seconds to initialize before the OS is even loaded so it takes around 20 seconds to boot to the Windows login screen. These things aren't too big a deal if you do not restart you computer often but when you are doing maintenance (Windows updates, add/remove programs) you restart your computer often. When you are paying that high a premium, this is hard to overlook. Also to enable/disable applications at start up, just go to Task Manager and go to the Startup tab. You should check out this guys build: https://pcpartpicker.com/b/rsNNnQ looks like he directed a couple of fans towards his Samsung SM951 and not having heat issues. 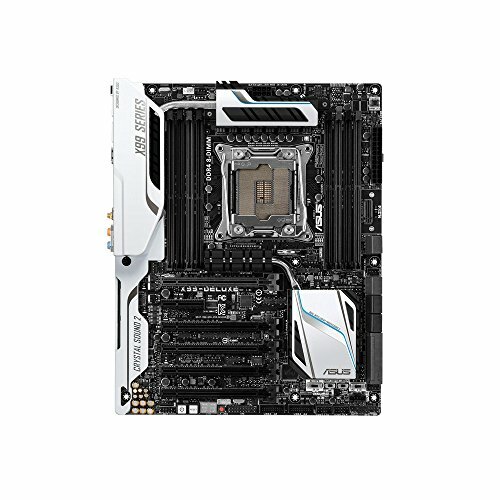 Keep in mind this is kind of a unique M.2 slot compared to most motherboards. Thanks, I really appreciate you asking around for me. I took a look and your right, his stands vertically where I can either mount mine in the provided slot laying down on the MOBO or I can put it in the Hyper-kit and use it as a PCIe device. It's nice to know he isn't experiencing any throttling though by simply getting it in-front of some air. The Intel 750 really was my preferred choice but until the boot time thing is fixed I may go with the SM951 if I can figure out the cooling or simply a Samsung Pro 850 for a fraction of the price. great build! likely doing something very similar soon. thanks for sharing your thoughts on broadwell-e vs. skyline as well. question -- can you fit the optical drive bay above the 280mm rad? i'm wondering if i might be able to squeeze two 3.5" drives with 5.25 to 3.25 bay adapters up there (above an H110i GTX). I will try over the weekend, the clearance looks very tight and the rad cant be moved down more. that would be awesome. thank you! I uploaded a new image with the top drive cage installed (It can hold up to two items). As you can see from the image the clearance very minimal, but the installation process didn't require any force to slide in. Hope this helps. This is great, thanks! I've been looking into some adapters that allow for 3 3.5" drives in a 2 x 5.25" bay setup like this (e.g., IcyDock). Good to know options exist for cramming in some HDD storage with a front 280mm rad while also keeping the top of the case sealed! Hey mate! Great build! looks absolutely sweet. Just a few questions, any reason why you went for an 850 over a 750? what about 32GB ram? Great title for a PC build that's +1. Supposed +2 for the components used. Great Build!!! How is your GPU working for you and do you happen to know what the stock fan for it's radiator is? Awesome build! I'm in the process of ordering parts for a new build and I'm also getting a Define R5 and a H110i GTX. I was originally going to have the radiator mounted at the top (as exhaust) but I've heard a few people recommend front-mounting it instead. The reason I didn't consider this was because I didn't like the idea of blowing hot air straight onto my GPU. I'm planning on only having a single 500GB SSD so I'm going to take all HDD /ODD cages/bays out to improve airflow. What do you recommend for the H110i GTX then? Still mounted at the top or now on the front? One argument for the front was that if it was top-mounted I'd have a rear 140mm and 2 x 140mm as exhaust but only the single R5's 140mm as intake. This would give negative case pressure. Anyway, I'm looking for tips from people with similar hardware. Thanks! I bought the hybrid to put into my first build. I have little experience to installing graphics cards. When you put your in, did you hook up your GPU to your power supply? Where are the hard drives/SSDs? This build is awesome, nice work. Just the best you could possibly get for the money you spent. But one question, what pcie card is it in the bottom slot? Really appreciate the comment, getting a good value for performance was a key objective for this build. I even ended up spending a couple hundred less than what’s listed to the left. Reading the newegg email / mobile deals daily helped on this avenue, it’s seemed to show me some better pricing that I didn’t see reflected on the part pricing here. In regards to the card great question, I should have explained or at least taken a better picture. The Asus x99 Deluxe does not come standard with a USB 3.1 Type-A port on the rear I/O panel (keep in mind it does have 10 regular 3.0 ports). As such, X99-DELUXE/U3.1 version of this board includes an add-on card (make sure you buy this version if you go this route, ”/U3.1”). It’s a little bit of a bummer because it takes up a PCIe slot and adding additional cards is going to reduce air flow. The motherboard prefers to use the top PCIe slot for a video card, which blocks the slot I should be using for the 3.1 card. lol didn’t realize, but I will have to give a lot of praise to the YouTube community. I watched a ton of videos which helped me design this build, and thus should get credit. 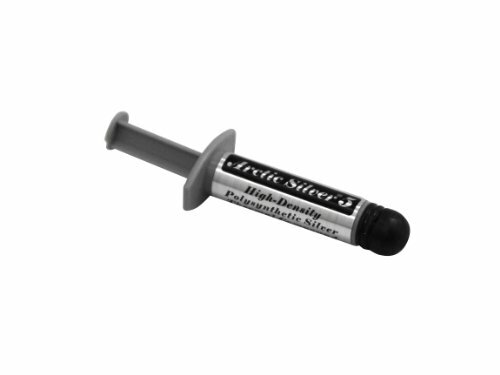 For everyone, if you’re new to PC building it’s a great resource. Thanks it’s been great so far. I think my old PC was about 6 years old, with that said it served me well and I’m hoping this one will too. My primary reason for upgrading is for heavier applications and games, but for a normal user it’s amazing how such an old CPU can hold up over the years, given the “cheaper to replace it” direction these days. Great build Mjoseph2002 - found it looking to make a build for the Intel Core i7 5930k -$200.00 reail edge deal this winter; need heave that has little to no bottleneck given power, gpu cars cooling usb-c w ssd, checkin pcie-version on ASUS X99-E WS LGA 2011-v3 Intel X99 SATA 6Gb/s USB. in shell a audio panel for the studio... so no throttle here. How is everyone liking it. you game render or tim the tool guy more powering it... What games ect.. for your quote"but for a normal user it’s amazing how such an old CPU can hold up over the years"
Never Have I met a person whom could say the same. cache, stupidity or less offensive enduser built systems of a mac... same with their phones. good for them, but never seen a company trick so many and having basically unproven technologies in them : guess if theres no device to connect them how can u prove them wrong.. but 6 years with a mac is what people bring to me i get it smook maybe throw 7 throw n ssd add ram but naw..
let me know how ur system is still holding up... Over clocking at all... read 4.2 -4.5 is easily sustainable with a water cool at recommendation. great build... ! thanks for sharing.